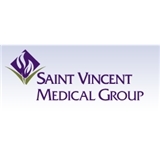 Saint Vincent Medical Group (Worcester) - Book Appointment Online! Saint Vincent Medical Group (SVMG) is a multi-specialty physician group located in 13 convenient locations throughout Worcester and surrounding areas, delivering comprehensive care when and where you need it. We offer more than 30 highly skilled physicians who provide services in Internal and Family Medicine and numerous health-care specialties. Our flexible scheduling enables you to see a physician today for urgent-care issues. We also welcome new patients and can often schedule your first physical exam within one to two weeks. SVMG accepts most forms of health insurance—please see our list of accepted plans for more information. We are affiliated with Saint Vincent Hospital at Worcester Medical Center, a health-care system that has clinical and academic ties with Beth Israel Deaconess Medical Center (BIDMC) and Harvard Medical Faculty Physicians at BIDMC. She is amazing and empathic and genuine and caring! She is the best! Very thorough and helpful, answered all my questions. Couldn't be happier! Best doctor I've ever had. Been with Dr. Pina for 20 + years.